For the past three years, I’ve made a point of taking Lucinda to Disneyland just before school starts. Partly because it’s a nice way to end the summer, and partly because our friend who works there has a pass that doesn’t work during the high days of summer. So today was the day. 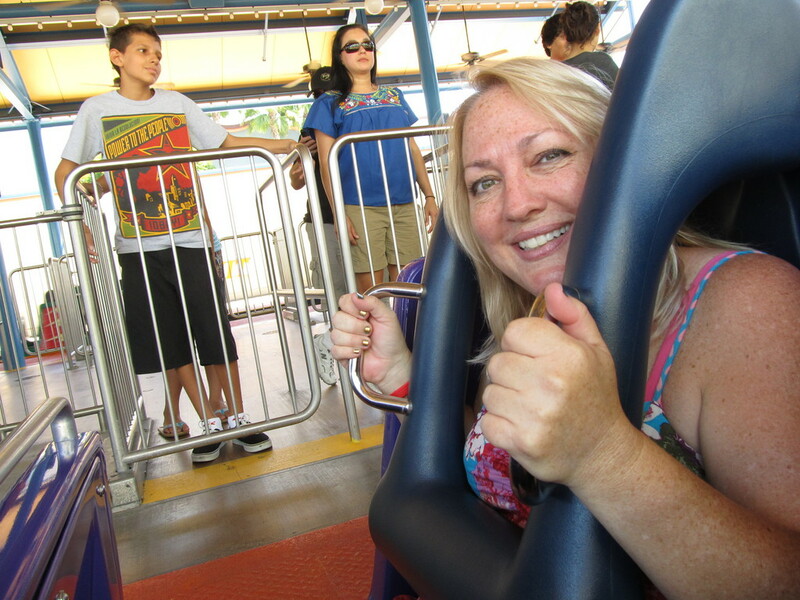 We went twice last year, and those were the days when we got Lucinda to ride California Screamin’ for the first time. And the second time last year was the day when we rode it 21 times. That was a very absurd, but also very fun day. Lucinda is getting older now, so it’s not the same as it was a few years ago. This time we went with her friend London, and my girlfriend Kathleen. That way, I would have company, and the two girls could go off on their own and do whatever they want. 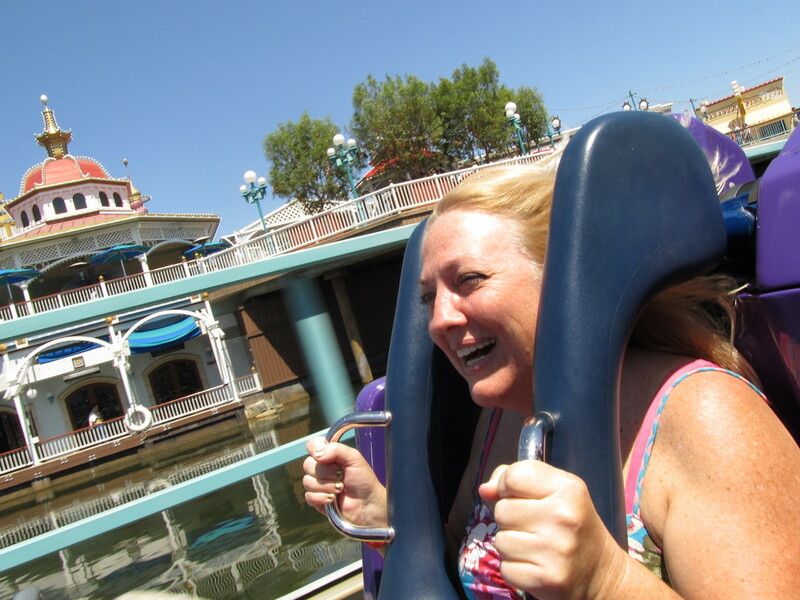 So where I used to have a whole set of pictures of her on the various rides, now I just have a few. 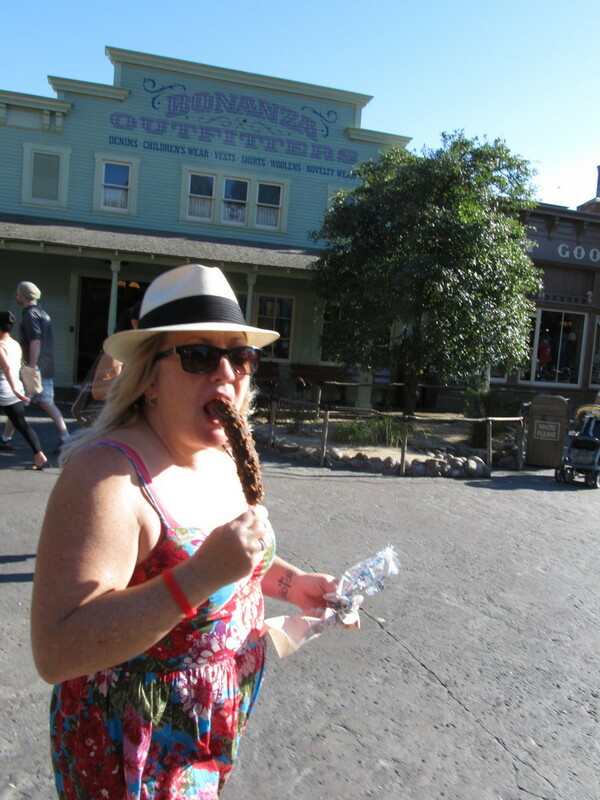 I got one when we got there, just before we went in. We ran into them around mid-day at California Screamin’, so I got a picture of them on the front row of the train, coming around the last turn. And then I got one more at the end of the day, when we had our traditional dinner at the Jazz Kitchen. They told us about what they did and what rides the rode, but I have no pictures. Kathleen and I had a nice time. 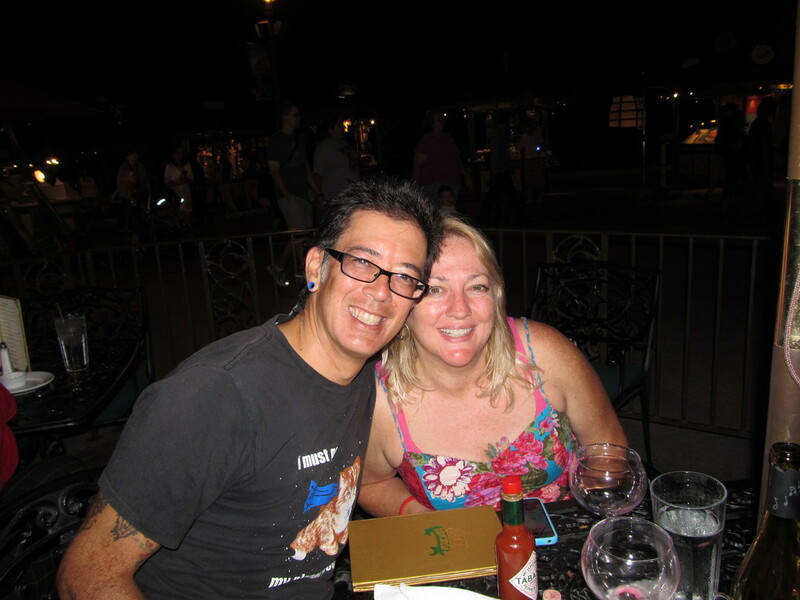 We rode Space Mountain four times, California Screamin’ four times, and we also got to ride the newly-redone Star Tours, Big Thunder Mountain, and Pirates. So we were not lacking for fun. 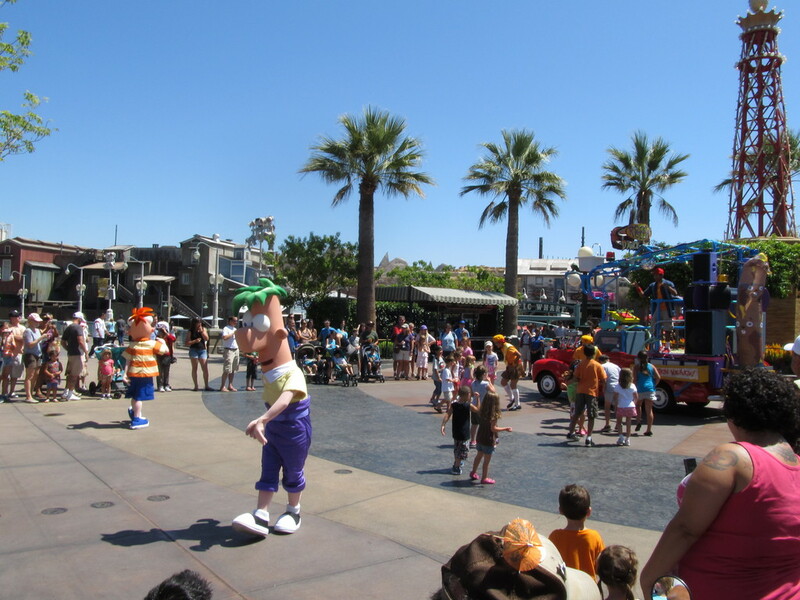 We also got to see the Phineas and Ferb show, which is new. My friend Nick at work is an old friend of the creator of Phineas and Ferb. So I’ve heard a bit of the history behind the show and the characters. And I’m sure that the fact that there is now a show at Disneyland means that Dan is sleeping on a very big pile of money now. And that it’s well-deserved. We like Phineas and Ferb. Overall, it was a very fun day.